I was honoured recently to be invited to participate in an exhibition showcasing Australian Quilts which is being held in France, at the Carrefour Europeen du Patchwork/European Patchwork Meeting which is celebrating it's 20th anniversary in Alsace, France from 18th to 21st September. The curator has set up a website showing all the wonderful Aussie Quilts that will be on display over there, take a look. I made this quilt especially for the exhibition, and the lovely flower depicted is an Australian native, the Flax Lily. I just happened to have it growing wild in my garden. 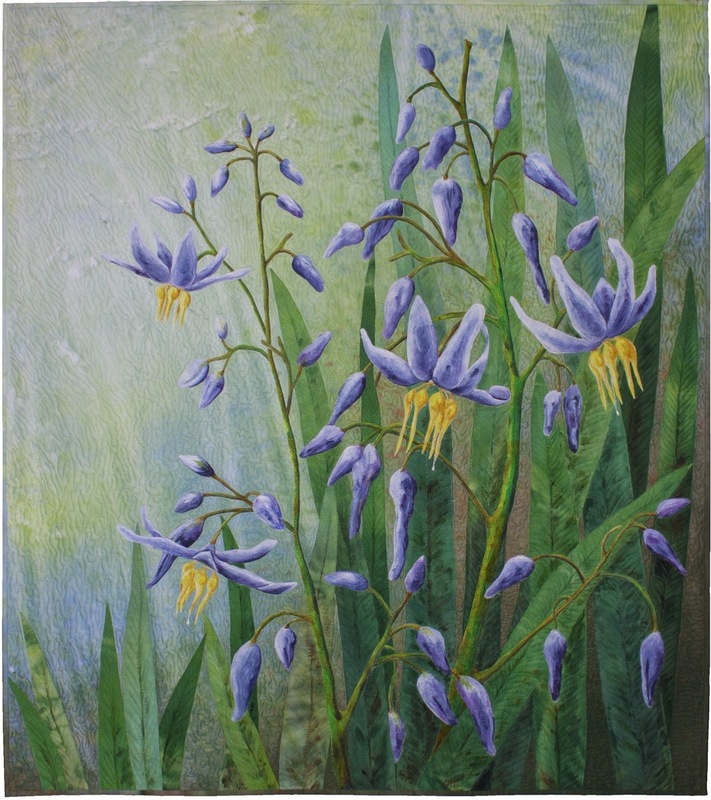 It was an interesting and enjoyable process depicting a flower with such vertical stalks and leaves, and like most natives, they are a small bloom.